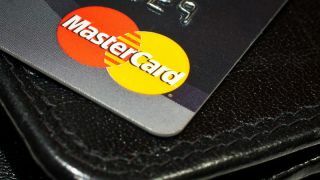 Mastercard has unveiled a new card that comes with a fingerprint scanner, allowing consumers to make purchases without the card ever leaving their hands. Mastercard has unveiled a new card that comes with a fingerprint scanner, allowing consumers to make purchases without the card ever leaving their hands. It builds on fingerprint scanning technology currently available in smartphones, and can be used at EMV terminals worldwide, the company said in a press release. The technology was tested in South Africa, in two separate trials. One was with Pick n Pay, while the other one was Absa Bank, a subsidiary of Barclays Africa. The process is simple. You go to your financial institution and enrol for the card. Once registered, your fingerprint is converted into an encrypted digital template and stored on the card. When shopping, dip the card into the terminal while holding the finger on the sensor. If the fingerprint is a match, the transaction is approved.